The Thinline Tele that never was, until now. Warm and inviting, the Thinline Tele tone retains the essential elements of the sound of a Telecaster, with an original twist. The Limited Edition Thinline Loaded Nocaster combines all the elements of a classic Thinline Tele, with a few tweaks for contemporary players. The two-piece body is crafted from ash selected for its weight and grain, and then given a Relic flash coat lacquer finish that gives it the look and feel of a well-loved original piece. The beautiful quartersawn AA flame maple neck features a ’57 V-profile that’s ideal for chord-work, while the 7.25–9.5”- compound-radius fingerboard is comfortable for almost any playing style. The pair of Hand-Wound Loaded Nocaster pickups, including the open-top neck pickup, are packed with pure sonic power and are tied together with Fat ‘50s Tele wiring for the fattest Tele tone possible. 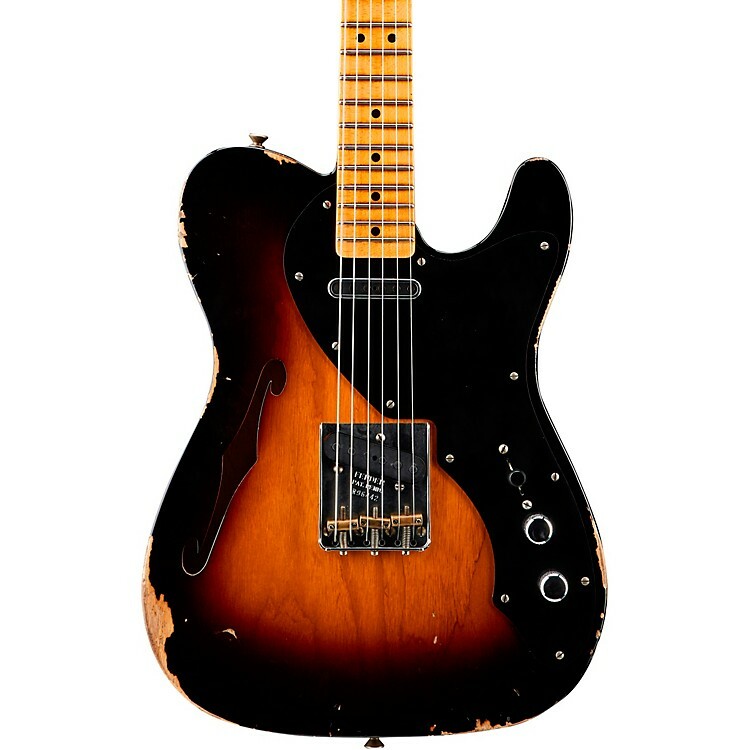 Other features include 3-way switch, 1-ply Black Thinline Tele pickguard, Nocaster bridge with compensated brass saddles for accurate intonation, vintage-style tuning machines with Fender logo, bone nut and round string tree. Includes deluxe hardshell case, strap and Certificate of Authenticity. If you're interested in any of our custom shop, limited-run or other premium instruments, we encourage you to call and talk with one of our knowledgeable, well-trained staff for more detailed information about any specific guitar. Don't miss out on this limited-edition future classic. Order yours now.